Nostalgia is playing a key role in today’s music. 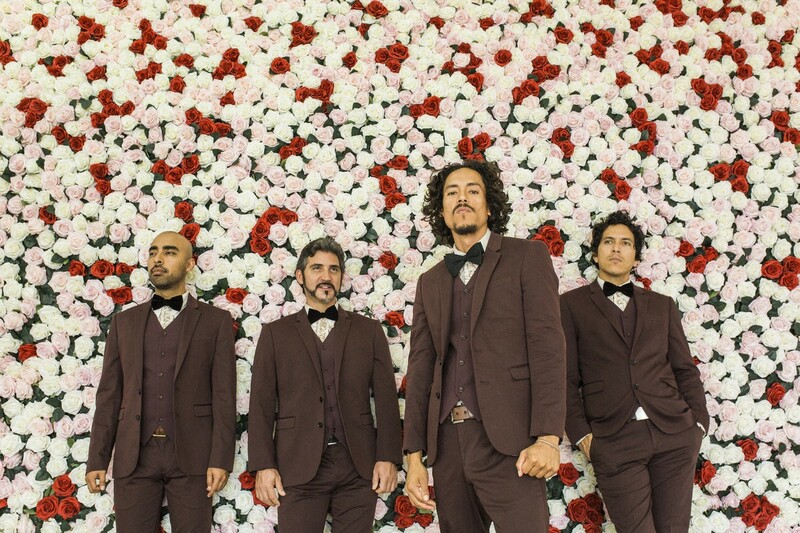 Whether you’re tuned in to pop or indie radio, the inspiration from the past has been increasingly popular and no one knows this better than Chicano Batman. For those whose ears yearn for the melodies of golden oldies and the psychedelic rhythms of 60s flower power era, “Freedom is Free” is the album to have bumping on any given day. On top of these traditional sounds, the band also incorporates their bilingual songwriting in a few tracks, giving it their signature Latin flair. The album opens up with “Passing You By,” and there could not have been a better starter. It overlaps melodies with reverb guitar riffs, all with the high pitched voice of their lead singer/organist/guitar player Bardo Martinez. Something superb about this track is the application of a Motown chorus and the combination of an organ. The placement of the chorus is traditional, which helps establish that nostalgic sound, but it’s their own splash that allows it to become distinguishable. This style repeats itself with other tracks like, “Friendship (Is a Small Boat In A Storm),” “Jealousy” and “Run” all of which are vital tracks to the album’s core sound. A Chicano Batman album would simply not be the same without its incorporation of Latin influence. The album features two tracks back to back in Spanish titled “La Jura” and “Flecha Al Sol” which absolutely deliver. “La Jura” transitioned with an interlude that encompasses an acoustic rhythm with an overlaid dominant lead guitar playing softer riffs. With “Flecha El Sol” listeners and fans got to hear something that was closely aligned with the sound of their previous album. This served as a reminder that although they were experimenting with new sounds their traditional ones are still prevalent. Although this was present, it would have been nice to hear a couple more Spanish songs. The band also dips their feet into different waters with tracks “Angel Child” and “Freedom is Free” where they explored a different era of reminiscence. These two tracks demonstrated that the band could go further than oldies and psychedelics by introducing some funk into the mix. If it were not for the psychedelic space that the band established with tracks like “Freedom Is Free,” which is a definite mix of these genres, it would not work all that well. The psychedelic sounds are what allows them to expand and venture into a territory of dance. That kills all of its competitors for food? At the very end of the album, there was an elephant left in the room. The track titled “Area C” was unlike anything the band has done before. It took on a whole new level of trippy that contrasts their usual uppity psychedelic vibe with more eerie tones and sounds. This last track alludes to a new direction for the band, and their future is looking bright.